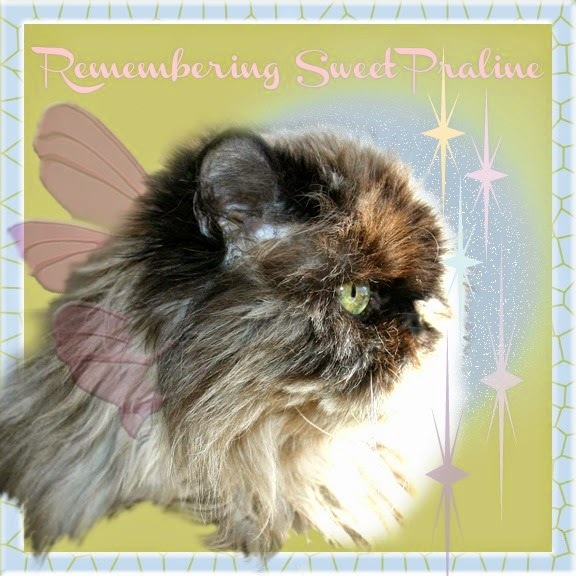 Sending purrs, prayers and hugs as you remember your sweet Praline. We love and miss her lots. We remember that dear girl often and yes, she still makes our hearts smile. We miss Sweet Praline too. She was a special girl. Purrs and headbumps as you remember your sweet kitty.